I hope you're all recovering from the holiday celebrations. 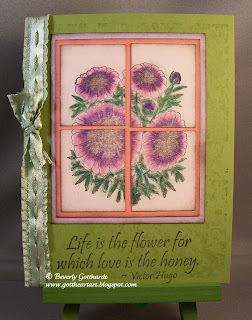 With this card I'm reminding you to stop and smell the flowers along your busy paths. I would like for you to hop over to Rogue Redhead Designs and play in our 6th challenge. Get Griddy, that is to make some kind of grid on your project. One of our entrants so far has used a diamond grid. The challenge closes on Jan 8th so you still have time to get some stamping done in your studios and use some of those Christmas presents and who knows you might be the one to win the prize of some Rogue Redhead Designs stamps. 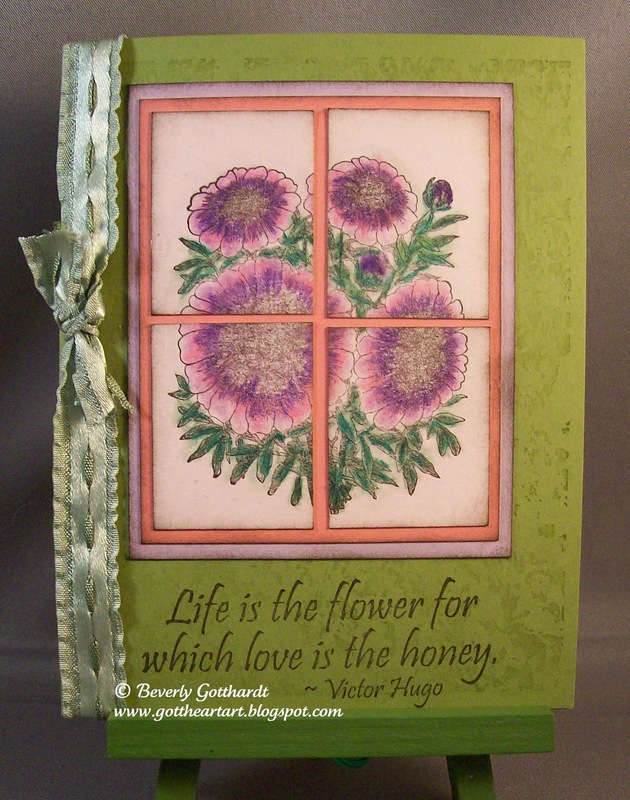 I've used one of the stamps and sentiments from the Floriculture set, and the background stamp from the Beach Babes set (which, I have to say is one of the most versatile stamps I've ever seen). I've colored the focal image with PrismaColor pencils and blended with a blending stump and Sansodor Low Odor Solvent. Don't miss out on the fun, take some time out for yourself and join in on our 6th Get Griddy Challenge.